Charlestown Community is a retired community situated on a 110-acre campus, and offering a fitness center, an indoor pool, as well as yoga classes, poker games, and six restaurants where you can get a "delicious, healthful chef-prepared meal," Charlestown Community sounds more like a vacation resort than a nursing home or assisted living facility. There has always been a lot of good chatter in the Baltimore area about this retirement community. So is Charlestown as good as it says it is? Apparently yes -- based on the most recent Medicare survey, which gave Charlestown an overall 5-star rating. This facility may not be perfect, but Medicare says it is "much above average" and, antecdoically, our nursing home lawyers believe this is true. This does not mean, of course, that mistakes cannot and do not happen that can give rise to and injury or wrongful death lawsuit. But it does mean that you or your loved one are probably much safer at Charleston than you average nursing home. Although this nonprofit is technically owned by Charlestown Community, it is managed and operated by Erickson Living since April, 2010. At 157 on last official count, Charlestown's resident population was higher than both the state and national averages - but with 110 acres supporting numerous amenities, Charlestown has plenty of room for all. In addition to the amenities, of course, Charlestown provides health care services, and has scored high marks in doing so. In the most recent standard Medicare inspection (April, 2015), Charlestown was tagged with just 3 deficiencies - an enviable score compared with the averages for the U.S. (7.1) and the state of Maryland (11). Charlestown also beat the state and national averages on fire safety. On staffing, overall, Charlestown got a 4-star rating. It came in just slightly below state and national averages on total nurse time per resident per day, and significantly lower on RN time per day (41 minutes daily, versus 59 minutes statewide, 51 minutes nationally). Charlestown got a 3-star average rating for RNs, which really is no very good. Nursing homes often go cheap on RNs but I'm surprised to see this move from Charlestown. But it exceeded or equaled the state and U.S. averages on time spent by LPNs and LVNs (licensed practical nurses, licensed vocational nurses), certified nursing assistants, and physical therapists. For quality measures, Charlestown received 5 stars overall. For short-stay residents, Charlestown was better than the state and national norms in seven of the nine measured categories. It especially excelled in improving residents' functionality, and in having lower (that is, better) rates on outpatient ER visits, residents' pain reports, and usage of antipsychotic meds. In administering flu and pneumonia vaccines to short-stayers, Charlestown came in around average. For long-stay residents, Charlestown had several Medicare scores that spiked higher (that is, less good) than the state and national averages: in cases of incontinence (84.5 percent, versus 58 percent statewide, 46.6 percent nationally); the number of resident falls with injury; and the number of residents experiencing serious weight loss. But Charlestown was significantly better than the state and national norms for other key metrics affecting long-stay residents, including preventing urinary tract infections (with only one-third as many cases as the state and national averages) and on limiting the ongoing use of catheters. Charlestown long-termers were only one-seventh as likely as the state and national averages to report having significant pain. They were less than half as likely as average to have depressive symptoms; and far less likely than average to receive antianxiety or antipsychotic meds. Charlestown scored a perfect zero percent on using physical restraints (versus 0.6 percent statewide, 0.8 percent for the U.S.). All told, the numbers support this facility's claim that "It's not hard to be active at Charlestown." This is a good nursing home by all accounts. But mistakes, sometimes unbelievable mistake, happen in good nursing homes. 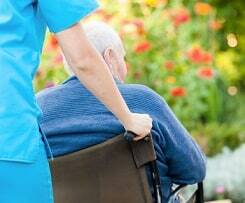 Do you have a nursing home lawsuit against this Catonsville nursing home? We are here to help you get justice and compensation for the harm you have endured. Call Miller & Zois today at 800-553-8082. You can also can get a case review online at no cost or obligation. You have to take nursing home reviews with a grain of salt. But usually they are skew negative. People speak well of this nursing home.